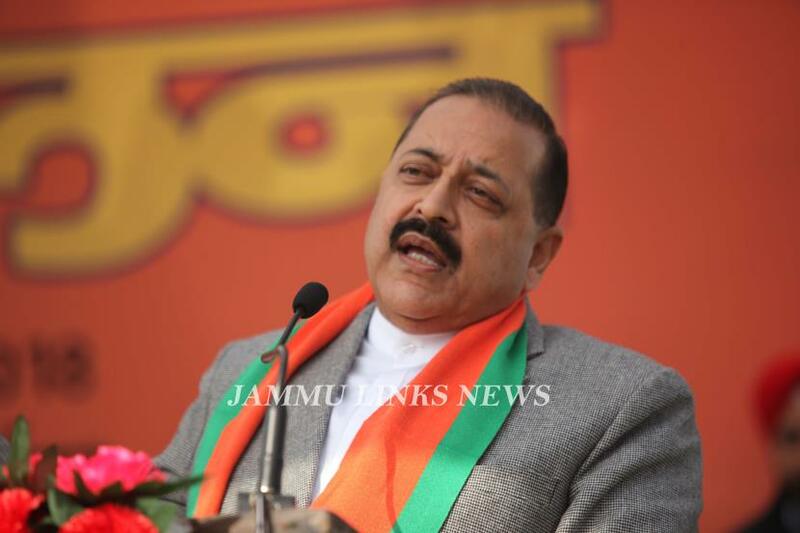 JAMMU: Union Minister Dr Jitendra Singh on Sunday hit out at PDP chief Mehbooba Mufti by saying that the mainstream politicians of Kashmir ‘sing the song of Pakistan' when they are out of power, but swear by India when in power. Taking to Twitter, Singh, who is the Minister of State (MoS) in the Prime Minister's Office (PMO), attacked former Jammu and Kashmir Chief Minister Mehbooba Mufti for praising Pakistan Prime Minister Imran Khan while criticising the governance of Prime Minister Narendra Modi in India. "Indeed, how times change! Kashmir mainstream politicians sing the song of Pakistan when they are out of power, but swear by India when in power. Remember, #Farooqabdullah, as CM, frequently advocated the bombing of terror camps in Pak occupied Kashmir," Singh tweeted. Expressing his opinion on the statement of Mufti, Singh said, "Time indeed changes and Kashmir-based politicians also change with time, and I think the most evident part is that when in power they swear by India, when thrown out of power they start singing praises of Pakistan. This has been their practised art."